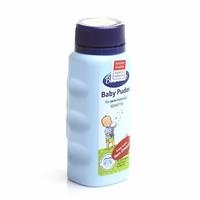 It is based on pure talcum powder. Does not contain additives and pasteurisers. 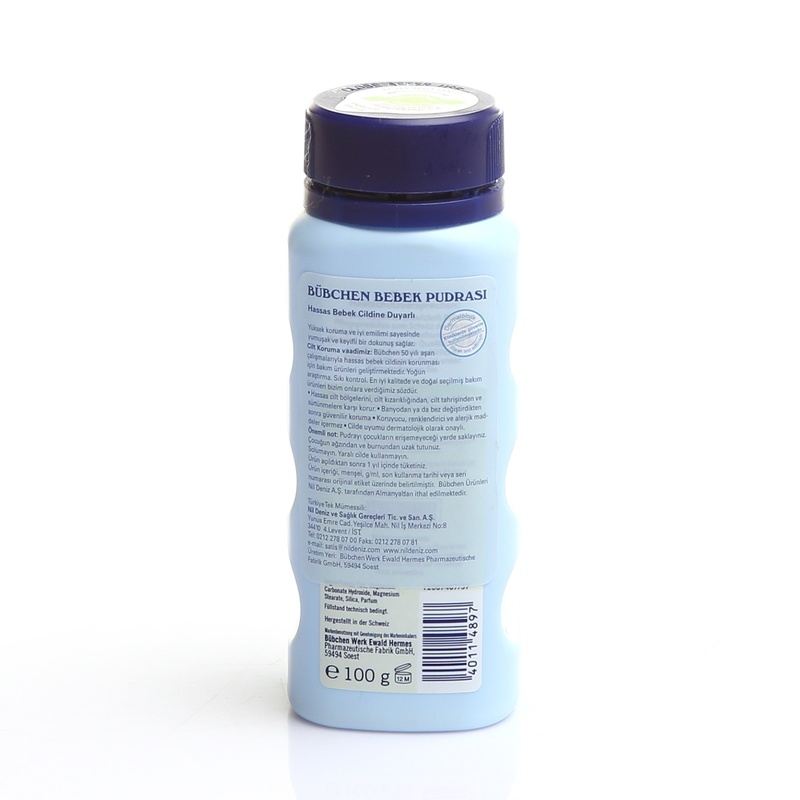 Bübchen Baby Powder is natural, soft and compatible to the skin for safe protection. Quality Bübchen Baby Powder has high absorbent properties. Therefore, it protects sensitive skin areas such as joint folds and neck from redness. Powder lightly with sensitive skin areas after bathing. Important Notice: Keep powder out of the reach of children. Avoid breathing by keeping away from your child's mouth and nose.